The Quinton Rug by Serge Lesage is hand-sewn by skilled artisans to create an exquisite design finished to the highest standard. 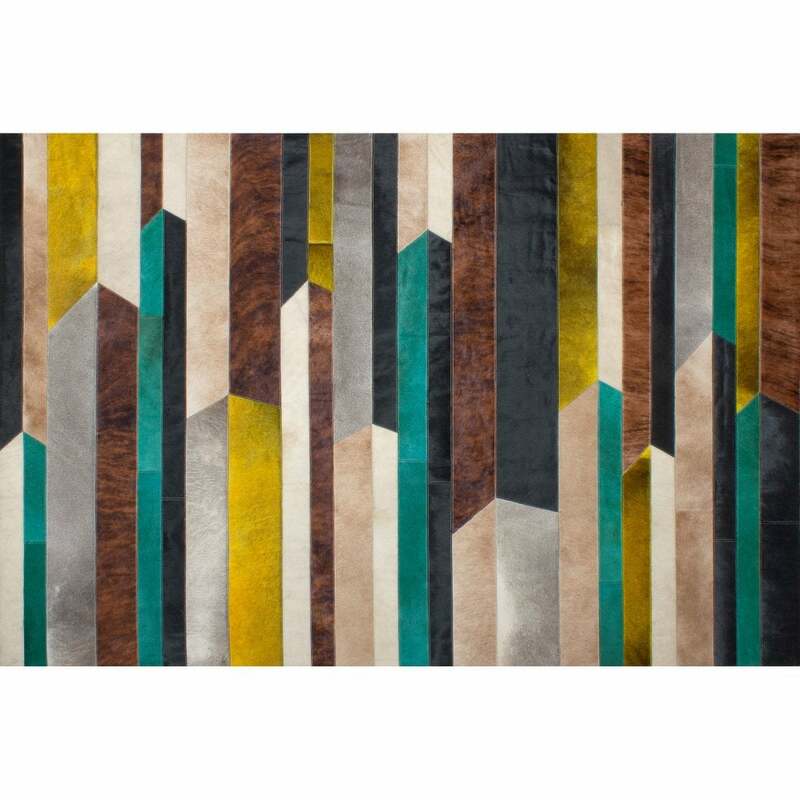 Strips of leather blend together to create an abstract pattern that plays with proportion and colour. Bright and natural hues sit together in rows complementing the warm and cool tones within each panel. Ochre and turquoise leather lift and enhance the rich textures of black and chestnut. The bold palette is then toned down with occasional strips of silvery grey. A beautiful rug inspired by 1970’s style, pair with mid-century modern pieces for an eclectic look that exudes vintage sophistication. Available in both standard and bespoke sizes. Make an enquiry for more information.